Well, flaming June it’s flaming not! 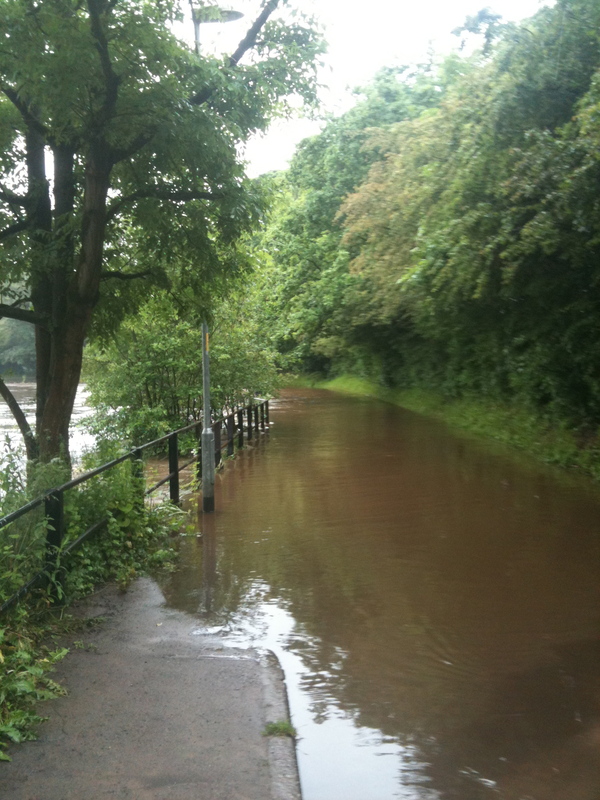 I made a dash out for a run at around 12 noon today to discover my planned route was under water. 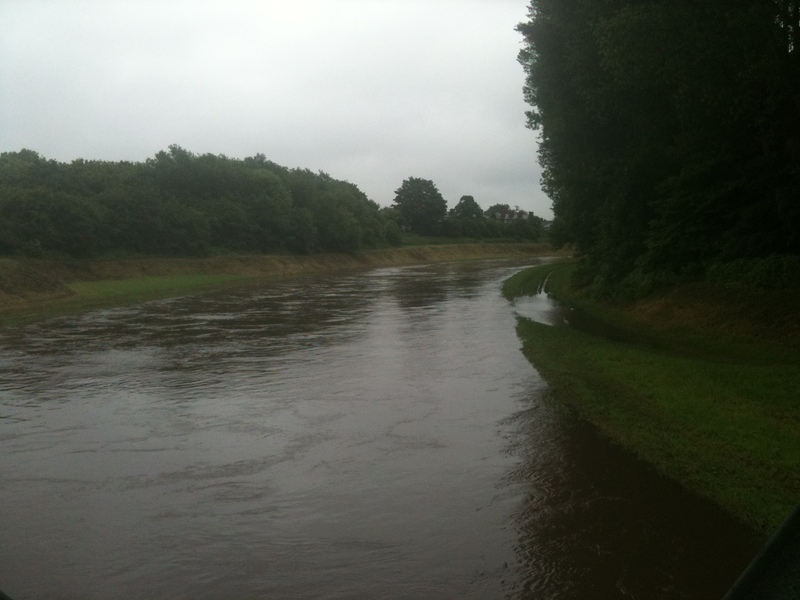 The Mersey was over her banks after several days of heavy rain. 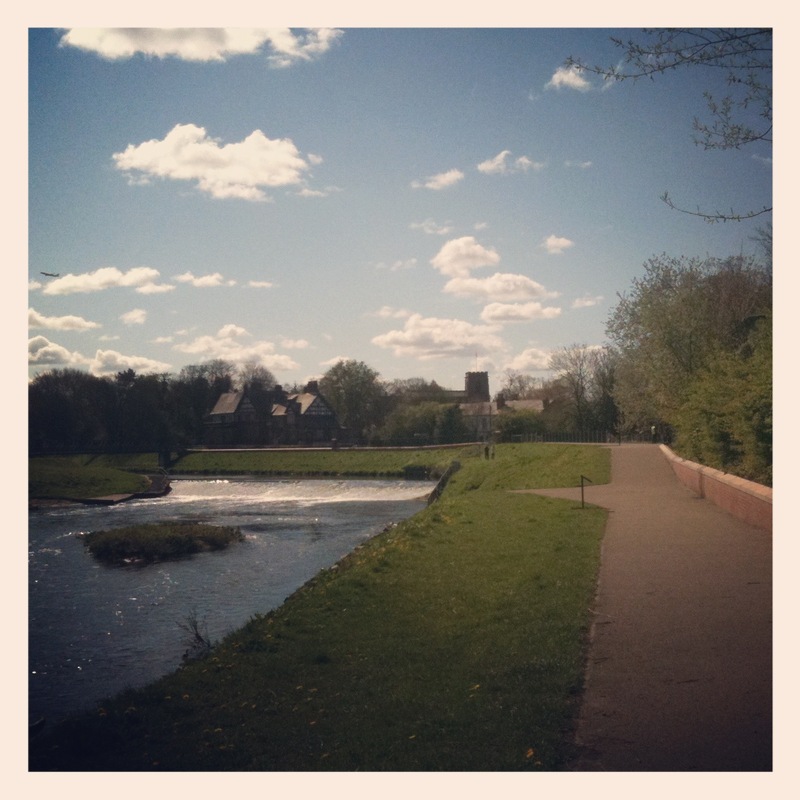 So I turend tail, ran back through the village and down to the motorway bridge that takes you towards Chorlton water park. It’s only about 2.5 miles but the muscles around my hip weren’t enjoying it at all. 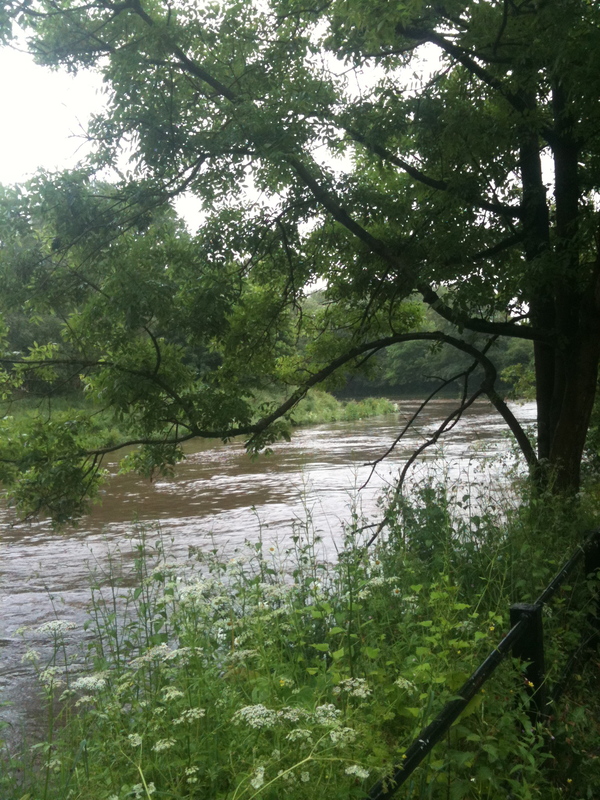 They started stiffening up again and so I slowed to a trot as I met up with the river and used the rest of the run to trot, take pictures, and try not to get caught in too many downpours. You probably can’t see but there’s a heron on the bank to the right. 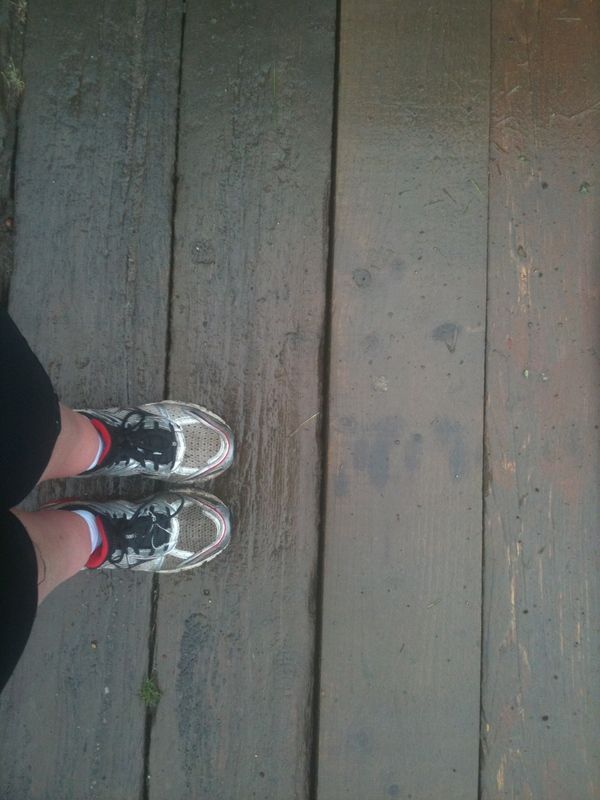 The bridge and i had something in common – we were wet and muddy. I jog-walked back, stopping to stretch off my hip. 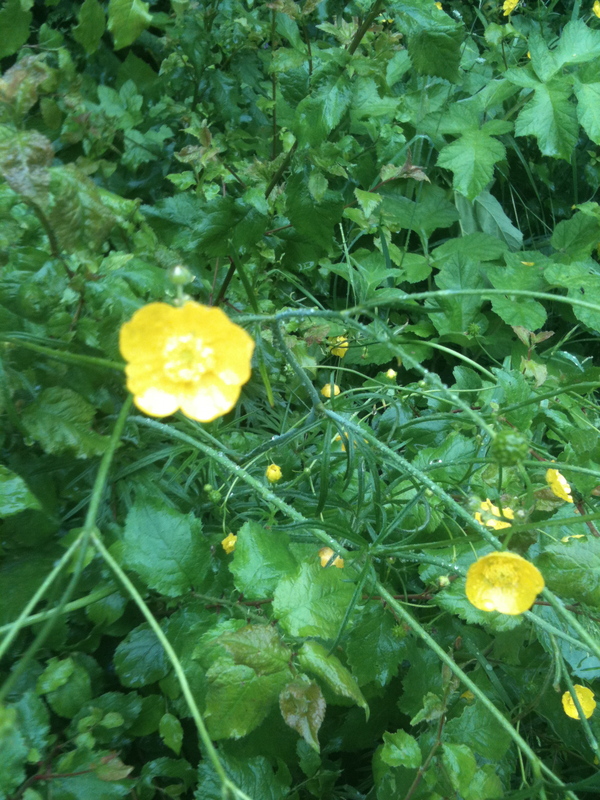 At least the flowers in the hedgerows seemed to be enjoying themselves but the rain kept pouring down. I gave in and sheltered under a bridge in the end, waiting for the worst of downpour to give over. 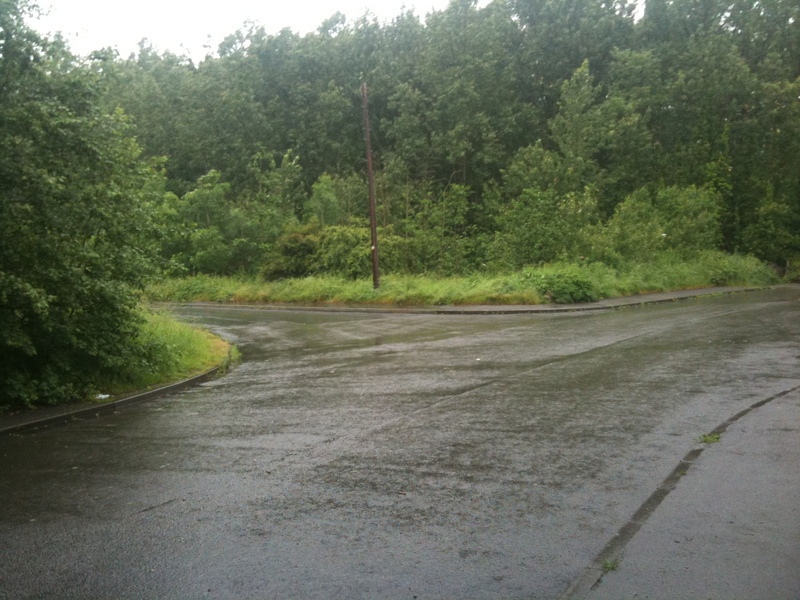 Looks grim doesn’t it – this was the view when I got back to Northenden. 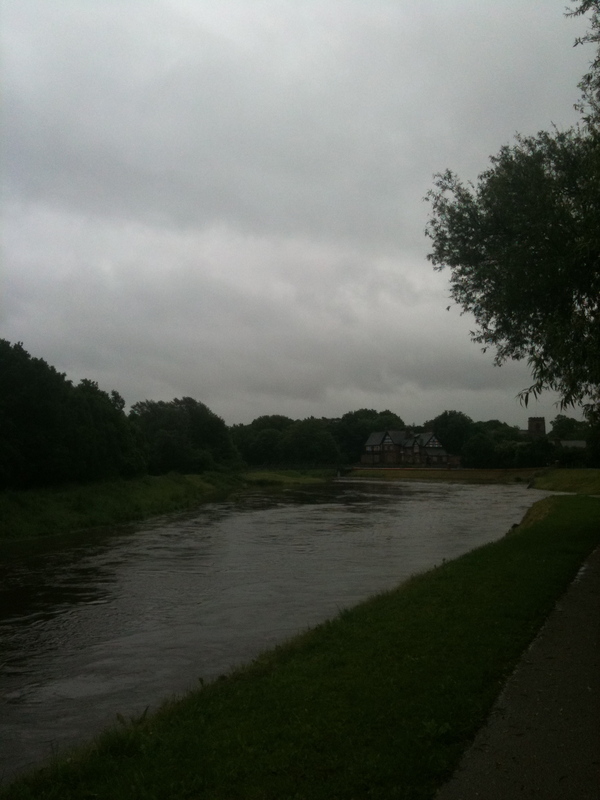 The weir had disappeared, as had the island in the middle of the river. I dare say the four horsemen of the apocolypse will be by at teatime.